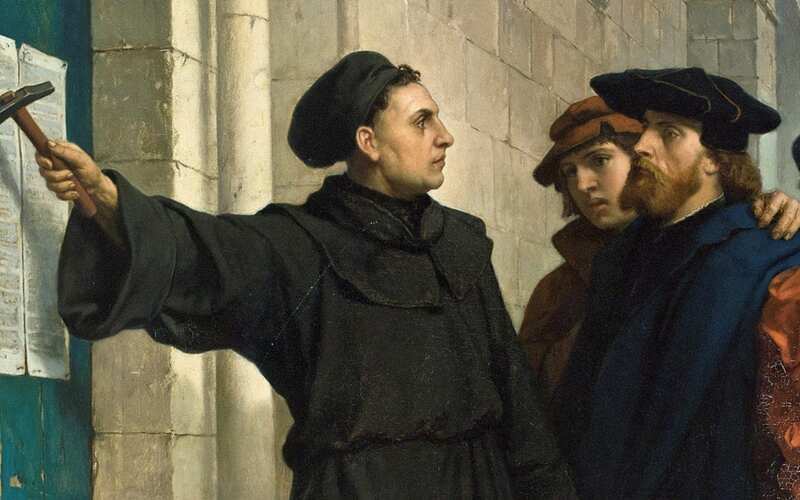 Could Corruption Drive a Reformation? Outrage at corruption drove the reformation 500 years ago, could similar outrage drive a modern economic reformation? We asked Henry Leveson Gower to tell us his thoughts on corruption, and wow, did he tell us! Larry Elliot in his piece ‘Heretics welcome! Economics needs a new Reformation’ reported on Steve Keen and other leading economists ‘nailing’ 33 theses on ‘economic reformation’ to the door of a top university. Maybe today’s economic reformation needs to be founded on an understanding of the corruption of the current economic system underpinned by economic ideology such as ‘maximising shareholder value’. Could that light the fire needed, to drive change? Certainly intellectual differences by themselves will are very unlikely to create the popular energy to drive a reformation. In 1500, Vatican City was in a state of disrepair due to long-running neglect. Catholic finances depended on religious tourism to Rome and who was going to come and see crumbling buildings? The Pope at the time, Leo X, a Medici, decided to renovate them but of course needed money to do it. Selling church offices gave him a start but he needed the top banker at the time, Fugger, to provide much of the financing. However loans need to be repaid. So apparently Fugger came up with the great idea of selling indulgences – his previous major achievement had been to persuade Leo X that usury or lending was not a sin in the first place. Indulgences meant that parishioners could purchase from their priest a means for themselves or their loved ones to spend less time in purgatory prior to ascending to heaven and the good life. They could buy ‘a stairway to heaven’ and the church could pocket the proceeds. The major push started in 1515 to raise money to fund the building of St Peter’s Basilica in Rome. This was a ‘plenary’ indulgence, the big one that could even get you off the hook for theft and adultery. All other sales of indulgences were banned for 8 years to maximise revenue during this sales spree. Standard sermons (or marketing material!) were sent out around the churchs. Local politicians had even got in on the action by taking a cut of the proceeds. So think on that as you gaze on the beauty of the great Basilica. 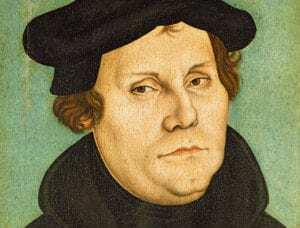 Luther called his 95 theses a “Disputation on the Power and Efficacy of Indulgences”. As we now know to everyone’s surprise including Luther’s, his 95 learned theses started the disintegration of the Catholic Church. A key element of this was democratisation of religion through ceasing to use Latin to exclude the common people from understanding the bible. If they understood the bible, they would be less likely to be duped by such cons as indulgence sales. Of course the back lash from the establishment was dramatic as they saw their major revenue stream challenged. Luther when he realised the hot water he was in, tried to row back and claim he was just trying to help the Church see the errors of their ways. It was to no avail. He was eventually ex-communicated and the rest is history. Now we maybe tend to see it as a battle of over theology, but we need to remember it was really a revolt against corruption. By this, I mean the abuse of power, in this case over ideology, to extract money from the less powerful without providing any commensurate benefits. On the face of it, I would say outrage at being conned is more likely to have given the reformation its drive than technical theological arguments. Who really cared about those beyond the intellectual elite? So what has this got to do with maximising value for shareholders? This is the seemingly straight forward idea that those employed in businesses should work for the good of those who have risked their capital to set up the business. It was meant to be about motivating managers to do the best for the business rather than feather their own nests. As a result we would have efficient businesses that did the best for all in the best of all possible worlds. That was the economic ideal promoted by such luminaries as Friedman in the 70s. In actual fact, William Lazonick, Professor of Economics at University of Massachusetts Lowell, in research funded by the Institute for New Economic Thinking, has shown that this ‘ideal’ has been exploited to extract money from the less well off by the very well off. I would also contend that this has spread cynicism as all that matters is money and (moral) purpose no longer counts. Hence many are writing (e.g. David Pitt-Watson) on the importance of refinding the purpose of enterprises and particularly banking. This also has an echo of the undermining of motivation to do good by selling indulgence. Why do good if you can buy your way to heaven? However belief in the need to maximise shareholder value is part of our mental furniture in a similar way to salvation through good works was 500 years ago. So to fight this corruption, we need to help people ‘see’ it is happening. We need to democratise economics and raise awareness of different ways to understand economics, pluralist economics, to allow people to see where economic ideology is being used to con them. I think that is both why we really need an economic reformation and why it could actually happen. Moral outrage could drive an economic reformation in a way that intellectual differences will probably never do. Are you entirely comfortable with your own Company's ethics? Contact us to discover how you can quickly adjust and get a good night's sleep, every night! Henry is Chief Executive of Promoting Economic Pluralism and editorial director of The Mint. He has been a practicing pluralist economist and policy analyst for almost 25 years. He has worked on issues from international trade and environment to economic and environmental regulation design. He is recognised internationally as an expert on water policy. He has particular expertise on Agent Based Modelling and advises departments across the UK Government and the OECD. Henry is a Research Fellow at the Centre for Evaluation of Complexity Across the Nexus, Fellow of the RSA, and a qualified chartered accountant. Is Corporate Governance in Troubled Waters?